Viaduct work on Shaheed Gowari flyover at Sitabuldi was successfully completed on 3 January. 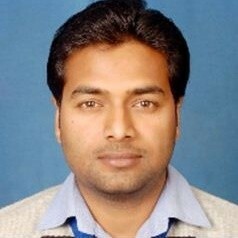 This work was completed in a short span of only 15 days with the help of modern technology and experienced engineers. The operation of girder launch was started from 18th December 2018. Metro officials and employees work day and night to complete the work in due time. 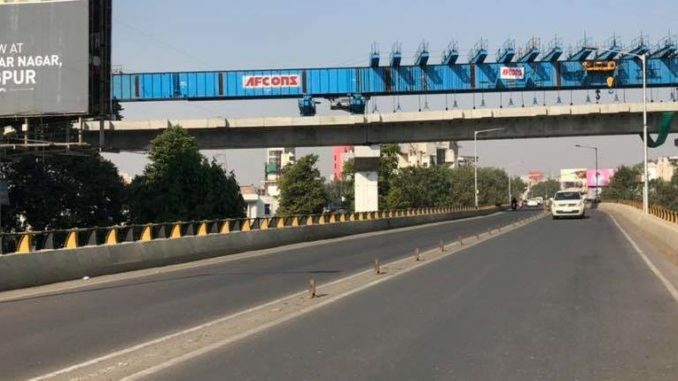 A total of 13 segments were installed for the upper span of Shaheed Gowawi flyovers, the total weight of all these segments was around 585 metric tons. After completing the work of girder launch (Reach-3 Corridor) for 36 meter span at 17 meters high, MahaMetro is trying to get the work done from Lokmanya Nagar Metro Station to Munje Chowk Metro Junction as early as possible. 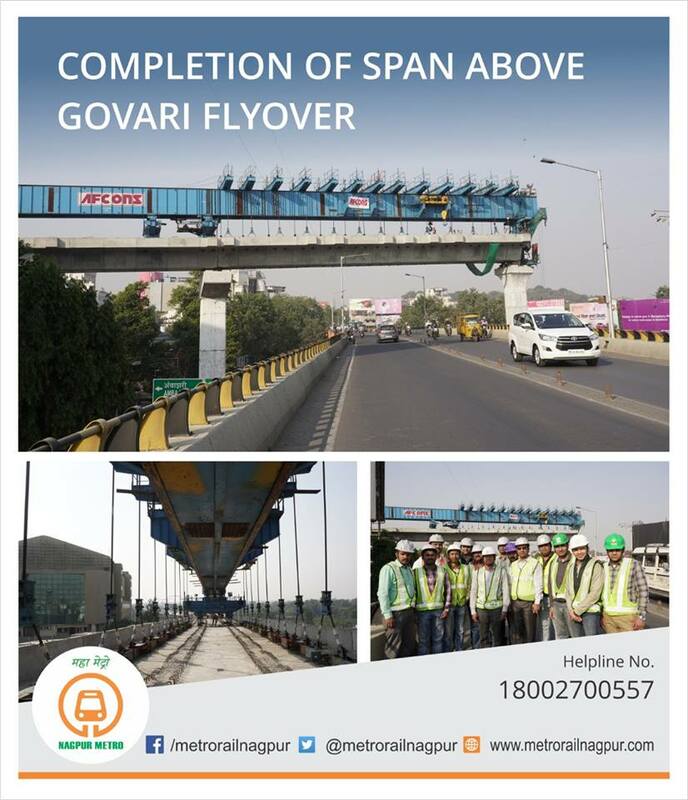 Work was done with the help of the Hybrid Erection Scheme ‘Ground Support System’ and overhead launch girder.